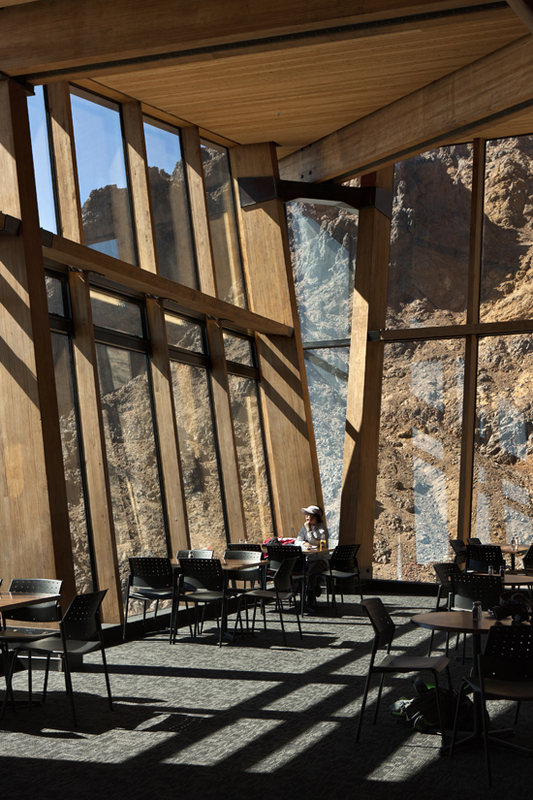 Heading the list is New Zealand's Knoll Ridge Cafe, perched dramatically in the North Island's Tongariro National Park on Mt Ruapehu. What do we love about it? Not only is this mountain home to Whakapapa, part of New Zealand's largest commercial ski field, but it is also New Zealand's largest active volcano. How's that for an exciting brew? The design was formed after the previous Knoll Ridge Chalet was destroyed by a fire early 2009 and soon after HB Architecture took on the challenge for the redesign. 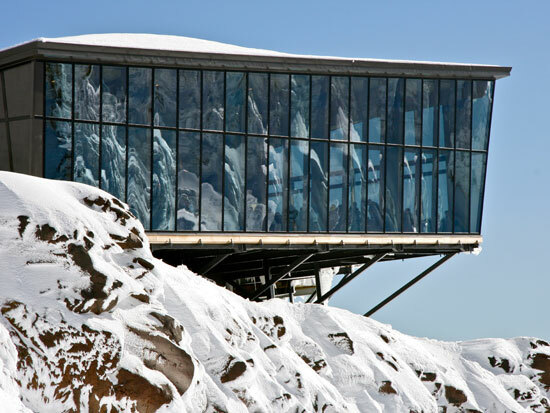 Not only did the architects have to account for the mountain's severe weather conditions, including winds up to 200km/ph and temperatures well below freezing, but due to its isolated location the delivery, placement and erection of the materials was performed via helicopter. Extensive pre-planning was required with concrete slabs first created then taken up the slopes before the snow melted, followed by the construction the next summer. All the glass units were designed with equalising tubes to account for the helicopter's acceleration during flight and to facilitate onsite argon gas filling. A total of 25 tonnes of glass was used to form the 415m² glass facade, creating a 100% thermally broken purpose built glass curtain wall. 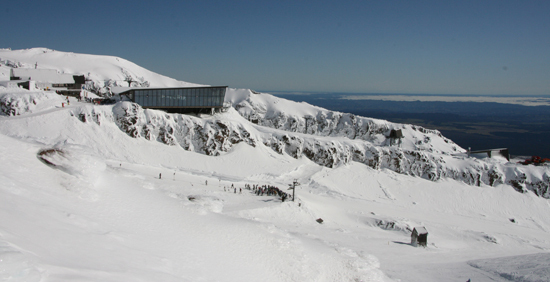 Summer or winter, if you're ever in the Southern Hemisphere, be sure to enjoy a hike or chairlift up to New Zealand's highest cafe, 2020 metres above sea level, and drink in the breathtaking views.